As experimentation for a circular economy gathers pace, it is becoming increasingly evident that we need effective ways to track and trace materials, components and products through a system –from manufacture to end of life. On 16th February at Fab Lab London we brought together experts in the fields of electronics and textiles to delve deeper into the the opportunities and challenges for traceability and tracking in these material categories. Alan Dukinfield, from S2S Lifecycle Solutions, and Richard Sharpe, a Research Student at Loughborough University discussed the current and potential use of RFIDs for tracking electronics. 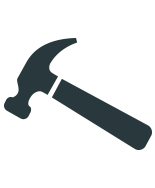 RFIDs are tags with a read and write capability, the data stored on them can be changed, updated and locked, enabling information to be held together with a product along throughout its life. Richard Sharpe explained the utility of RFIDs for tracking products through the manufacturing and installation phases: enabling real time monitoring of data and ensuring accurate traceability. Popular in industries manufacturing highly specified products requiring exceptional quality (military and aviation products, for example), RFIDs are able to track both processes and conditions, such as temperature and handling methods, and this data enables manufacturers to identify, predict and reduce defects. Whilst currently used in certain areas of production, Richard advocated the use of RFIDs as a way of capturing and passing on information throughout a product’s life. Information could then be added or collected by manufacturer(s), distributers, retailers, through the consumer use phase, to preparation for reuse (at places such as S2S) and finally to end of life (EOL), recycling etc. Alan Dukinfield is Director of S2S Lifecycle Solutions, an asset recovery specialist for the electronics and electrical equipment sector with a zero to landfill policy. S2S sorts and prepares used electrical products, often from businesses, them for reuse or recycling. S2S processes e-waste to PAS 141 standard. The PAS 141 specification has been developed by British Standards Institution to increase re-use of electrical and electronic equipment and to ensure that they are tested and repaired to a minimum level. Unique tracking of each product is a mandatory part of this process and whilst most companies use barcodes, S2S have developed a unique system using RFID tagging to ensure traceability for each product that comes through their system. When a product enters S2S it is tagged with an RFID, and this remains throughout it’s time on site. This tracking enables collection of data for the PAS 141 standard, and also helps with process improvements and workflow developments. Ultimately, the RFID tagging allows S2S to have clear traceability for their clients and be secure in the knowledge that they have sold on quality products, not destined for landfill in developing countries. Both Alan and Richard predict more widespread utilisation of RFIDs across electronics and other product types. Collaboration and discussion between parties along a product supply chain will be required in order to capture the most useful information. Dutch aWEARness oversees every stage, logging progress via a web-based ‘track and trace’ system and quickly addressing any issues. 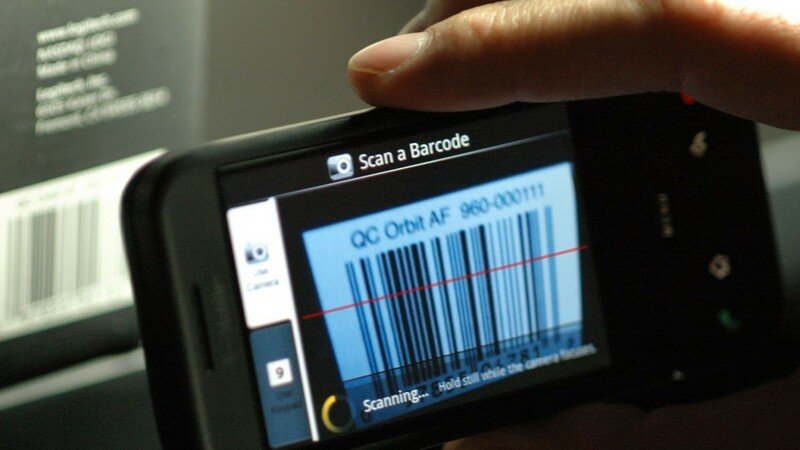 Within the system, raw materials and products all have unique barcodes, ensuring accurate traceability. A Circular Content Management System (CCMS) has been developed to capture the information about materials and processes from all partners in the supply chain. Dr Kate Goldsworthy is Senior Research Fellow in Textiles Environment Design (TED) at Chelsea and a lead researcher with the University’s Textile Futures Research Centre (TFRC). Her work focuses on design for cyclability and on innovation finishes and production techniques. Giving an overview of the work of TED and TFRC Kate gave an insight into the challenges facing textile traceability, and emphasised the need for better education and understanding of consumer behaviour, as this is key to creating closed loop systems. Mirium Ribul presented her recent investigations into a physical coding system for a faster and more accurate identification of invisible materials information in a closed loop chemical recycling system. A challenge in closed loop and recycled textile processes is identification of the materials themselves, something which Miriam noticed first hand when working in the lab with Dr Hanna de la Motte during her time as a designer in residence at Chalmers University of Technology and SP Technical Research Institute of Sweden. Labelling garments and textiles does not give enough information, and can easily be lost or damaged. Miriam recognised the need for faster and more accurate identification of materials at the recycling stage. By applying design thinking in a technical laboratory environment Miriam developed ‘DeNature’, a project that recommends embedding material information in fibres without disrupting their properties. Miriam is continuing this work as her PhD project at TRFC. The event was topped and tailed with presentations from Tomas Diez, of Fab Lab Barcelona, who specialises in urbanism and digital technologies.Tomas challenged us to think about the impact of technology on the physical world around us, and the dialogue between the space we use and technology we have. The advent of cars, for example, radically influenced the layout of cities and the way we shop, as the printing press radically altered our ways of sharing information. He posed interesting questions about what the cities of the future might look like as digital technologies, such as 3D printing, take off: Will we shop for materials on our high streets? How will the future citizen engage with waste? Technological developments have gone hand in hand with globalisation, particularly in the manufacturing of goods. We live in a world of complex, often global supply and waste chains, invisible to many. This is not an easy place for anyone to trace materials. But this connected world, the internet and new digital technologies does provide opportunities for a change in our system of production and manufacture. Tomas moved on to talk about his work with Smart Citizen sensors, bringing the ability to track, measure and monitor into the hands of many. A global network of these hand held sensors is helping people to collect data about their environment, building evidence and potential for truly smart cities. Attendees were able to try out these sensors to begin to see their potential. This project demonstrates the potential for decentralised information gathering and analysis; tracking and tracing led by and enabling citizens to design and manufacture in a decentralised system.